In this case study you will see how physical therapy can resolve knee pain that didn’t really have much to do with the knee at all! A 36 year old man presented to PT with complaints of inner knee pain which began suddenly after lifting a large box. Since onset of his pain, he had not been able to run or exercise at his local high intensity training gym and experienced pain with stairs, walking, and rolling in bed. He reported occasional “giving out” of his knee. X-ray of the knee was negative. He was asked to demonstrate some of the exercises he does at the gym, such as planks, squats, and lunges. Limitations such as gluteal strength, core activation, and foot muscle engagement and motor control were apparent in isolation and during complex movement patterns. Squat form was impaired with excessive forward trunk lean, toeing out, and knees caving in. He displayed significant limitations of ankle dorsiflexion range of motion and his hamstrings and hip flexors were very tight. His psoas muscle, a hip flexor, displayed excessive tone and limited active gluteal engagement and hip extension. Visit 1: Treatment at the patient’s initial evaluation included extensive education about how hip and ankle mobility and motor control relates to stresses at the knee joint and related musculature. His homework included stretches for his hip flexors, ankle dorsiflexion range of motion, and hip internal and external rotators. He was also educated regarding lumbopelvic positioning, deep core engagement, and intrinsic foot activation and arch control. Visits 2-13: Sessions mainly focused on alternating between various hip/ankle stretches (especially at the front of the hip and the back of the ankles) and specific therapeutic exercises. Manual techniques and stretches were used to open up range of motion, then specific exercises followed to utilize that new mobility and help with carry over of the gains made. Exercises worked at re-educating motor planning and coordination during walking, running, and movement patterns such as squatting, burpees, push ups, and lunges. The last sessions integrated running form, agility work, jumping, and safe return to full gym classes with reduced risk of injury. 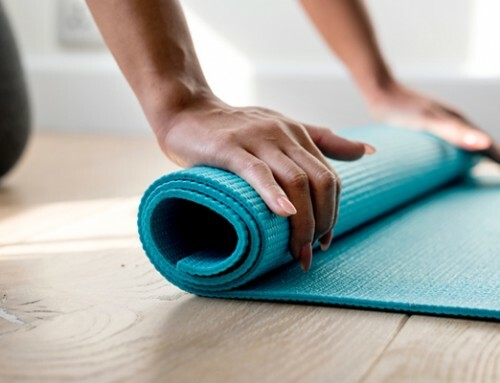 The patient ended therapy with no pain in his knee at rest or with activity, improved motor control during exercise, and independence with a home exercise program he could integrate into his gym warm up. He plans to continue his stretching program to see long term flexibility changes. Not many “basic knee exercises” were used for this patient. He described very rapid (within only 1-2 sessions) improvement in knee pain with stretches implemented at his hips and ankles and motor re-education at his core and glutes. *Just because that is the area of pain, doesn’t mean that is the problem area. If other areas don’t do their job correctly, then something must take up the slack. In this case, the knee was crying out for help because of dysfunction at the joints above and below! 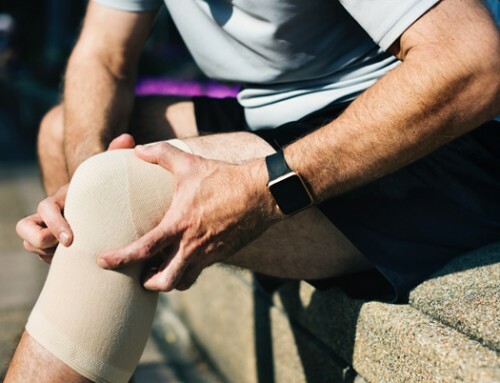 For more information on this case study, physical therapy for management of knee or hip pain, or to make an appointment for an evaluation or treatment, contact us at one of our two physical therapy clinics in Malta and Queensbury NY.